I have a lot, and I mean a lot, of my friends absolutely freaking out about the return of Twin Peaks. Showtime made the announcement just a couple of days ago and the hype hasn’t died down. Check out their little promo video. Doesn’t say much except that we can expect the show to air in 2016 and that it will be ’25 years later’. I wonder if this means many of the same actors will return for their original Twin Peaks’ roles. I’ve never actually seen Twin Peaks, is this worth freaking out about? 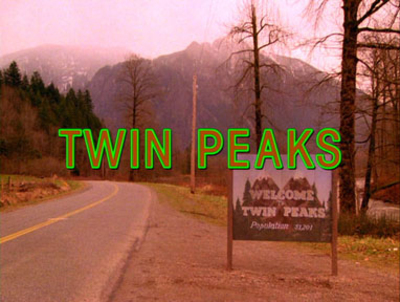 I've never seen Twin Peaks and don't know what it is about, so I can't get excited about it. I'm the same as Bryony, I've never seen it. I've heard a lot about how great a show it is, but the premise never really interested me. That doesn't change the fact that I have a lot of really happy friends right now. No, I've never seen it. I don't know why, but the first thing that comes to mind when I think 'Twin Peaks' is 'Dante's Peak' - to which this obviously has no connection. Which Star Trek character is the best at diplomatic negotiations?